Naturally support healthy energy levels while combating free radicals with Nature’s Pearl®4.44™ Health & Energy Shot! 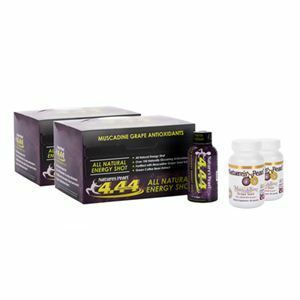 This grape-flavored energy shot contains green coffee bean extract and 100 naturally occurring antioxidants derived from muscadine grapes. 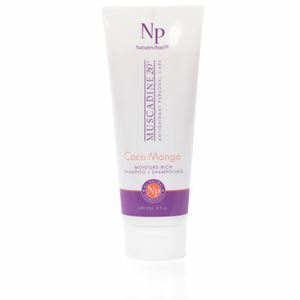 Muscadine grapes are grown under stressful environments, which propel them to produce more disease-fighting phenolic compounds providing you with antioxidants to help combat free radicals. 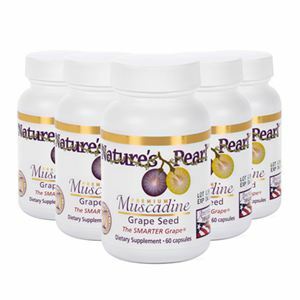 Nature’s Pearl® Muscadine Grape Seed is made with over 100 naturally occurring phenolic compounds such as ellagic acid, reseveratrol, quercetin, anthocyanins, OPC’s that support cardiovascular and joint health, restore energy levels and help combat free radical damage. * The Pearl Life Energy Pack includes: (2) 4.44™ Health &Energy Shot Boxes (2) Muscadine Grape Seed Bottles.